Of the 100 emails you got today, almost 90 were spam. Spam emails probably took up most of your email storage space, further more, it is wasting your time going thru and deleting them. You probably spend up to 40% of your day managing email communications. This is where email spam filter can help you do this efficiently. How to stop sending receiving email spam on Yahoo, Gmail and Hotmail? 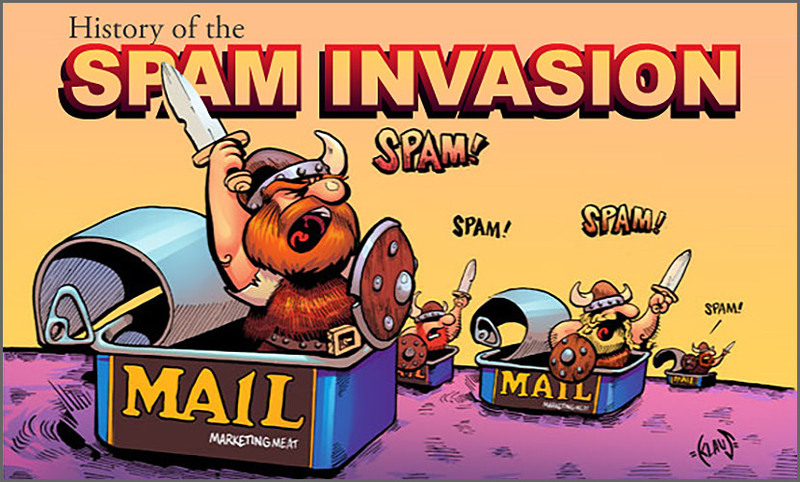 Anti-spam tools are here to help. Where to download the best spam filter for Microsoft Exchange and Outlook? 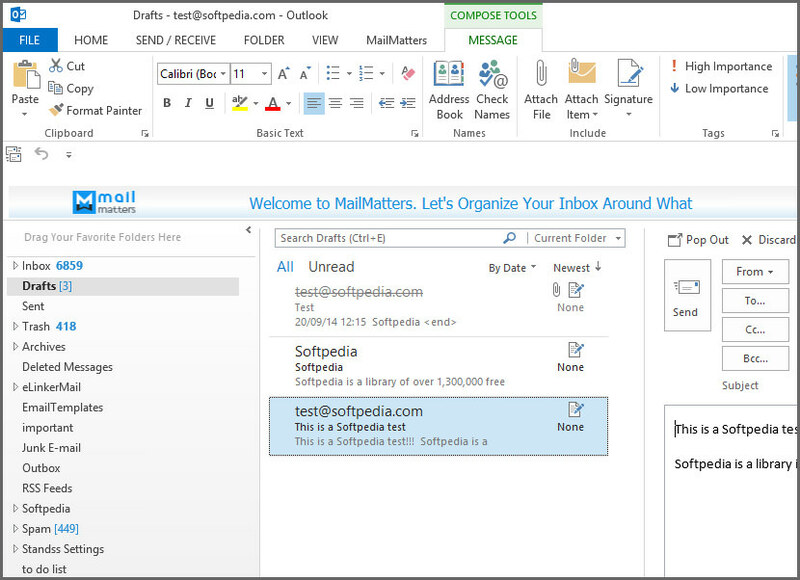 and most important of all, which is the best exchange / outlook spam filter available in the market for free? They wade through all the emails you receive and sort out all the unwanted ones before they reach your email program’s Inbox. Here are my picks for Windows users. MailWasher lets you preview all your email before it gets to your computer or mobile device, enabling you to read all your email securely, and instantly delete any unwanted or suspicious email. Your remaining good email is downloaded to your PC or mobile device, saving you from receiving any spam or email viruses. When you use MailWasher, the benefits become obvious. 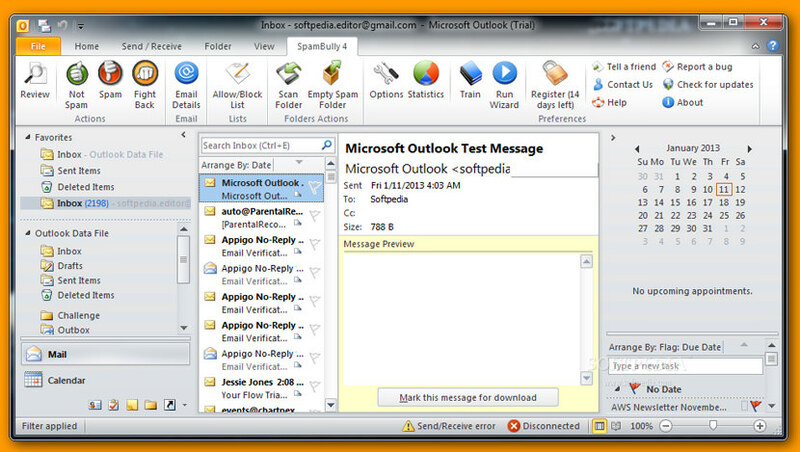 SpamBully for Windows Works with Outlook, Live Mail, Outlook Express, Windows Mail & IMAP. It uses Bayesian Spam Filter intelligently knows which emails you’ve received are good and which are spam by using artificial intelligence and server blacklists. Everytime you download your email, SpamBully will make sure good emails make it to your Inbox. 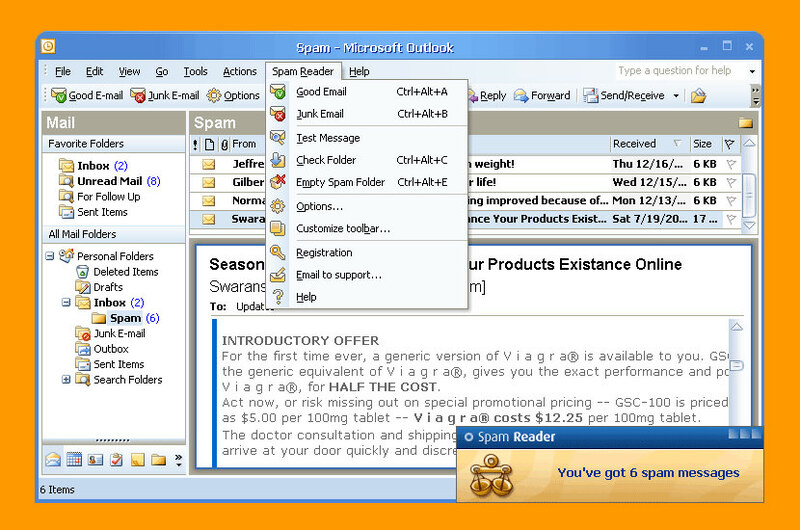 Spam Reader is a free anti-spam add-on for Microsoft Outlook. 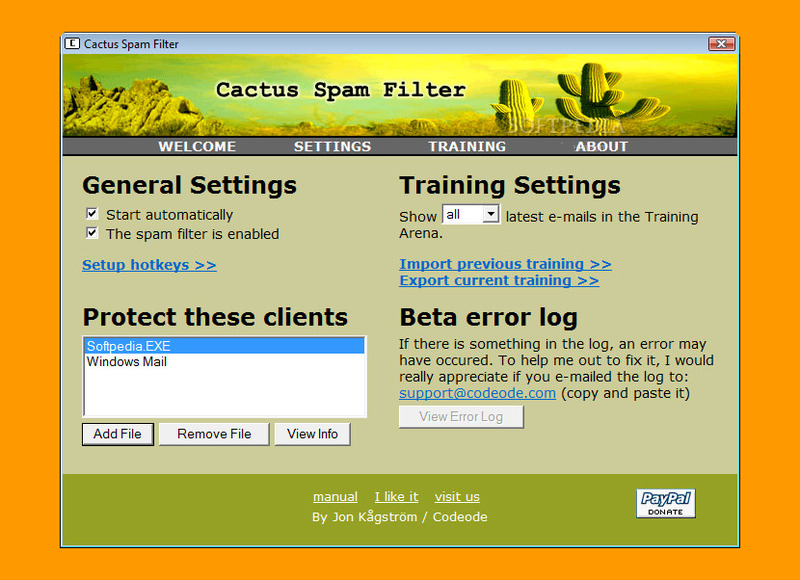 The software uses the most reliable approach to block junk emails – Bayesian algorithm based on statistical analysis, capable to be adjusted to user’s needs and detect up to 98% of spam messages. 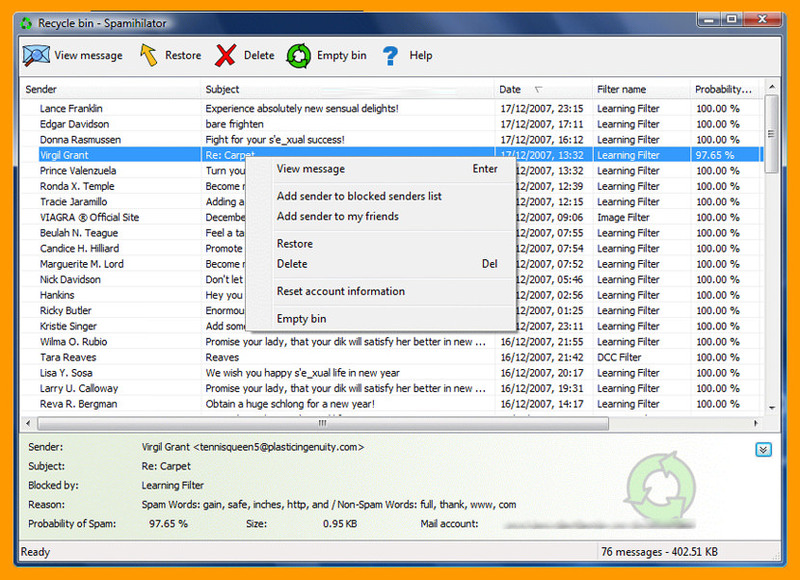 Spam Reader automatically scans all incoming mails and sends detected spam messages to the special folder for further review. Support of Exchange, POP3, IMAP, and HTTP mail accounts, working with all versions of Microsoft Outlook (including 64 bit). MailMatters allows you to set their own rules, priorities, and filters to eliminate ’email noise’ so they can focus on real, productive work. What Do People Think of Spam Emails? Do you happened to have crack, serial, keygen, license key for Spam Smacker for Exchange 2007? Is it safe to download from torrent? WILL IT WORK……… I DO NOT DOWNLOAD JUST ANY SOFTWARE. They keep changing their @greenroomshackseason.com …. To g r ee n ro om etc… You get the drift they change it all the time with different spaces after the @ sign. There are hundreds of different combinations except for @g….. but if I do get an email from someone else with a real @g…. it would put it in the delete folder. I am running Outlook 2007. I can create a rule because they keep changing the spaces in the HTTP// file and the email address. If your product works I will buy it. 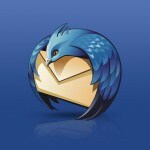 anti spam software for exchange 2010? Anti-Spam Software Suggestions for Microsoft Exchange 2007 and 2013? how to Installing a Spam Filter for Microsoft Exchange Server? I am the CEO of DigiPortal Software. We have proven SAFE solutions. We developed and have been offering ChoiceMail for more than 10 years. ChoiceMail a highly effective spam blocker. 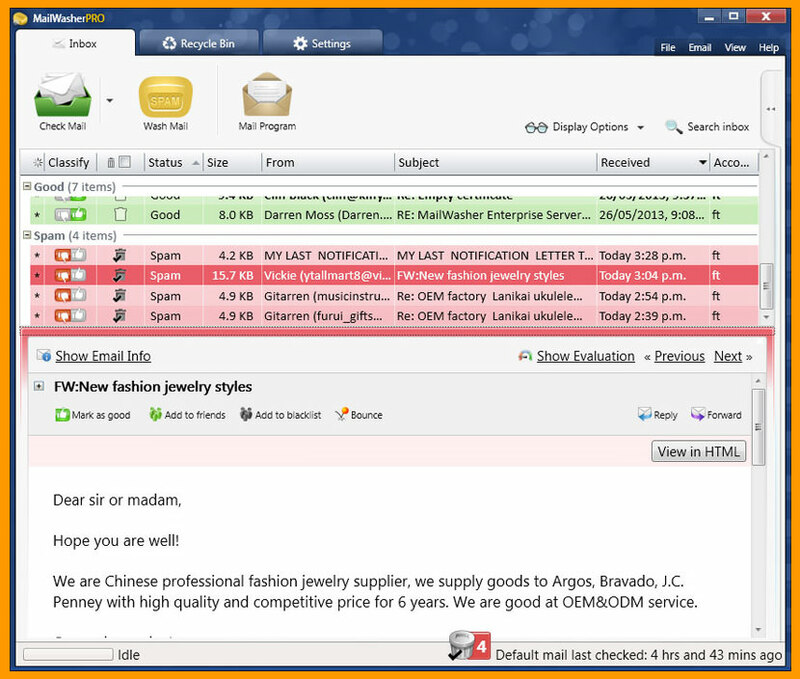 ChoiceMail has versions that work with all email servers, groups that obtain email via POP 3 and a desktop version for Windows. We offer free trials, excellent service and competitive prices. Another great spam blocking/email messaging tool I personally use is Xeams. It blocks 99% of junk emails from coming through to your inbox. Xeams can be used by any company small, medium or large, or even for personal use. 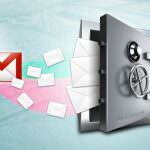 It supports all major e-mail protocols including SMTP, POP3 and IMAP. The best part of this software product it that it is completely FREE! Xeams has saved me (and many others) aggravation, time, and money. I definitely recommend this software product for anyone looking to not waste time shuffling through and deleting junk emails all throughout the day!